A Cornish company is teaming with a German celebrity TV chef to promote Cornish produce to the German market. Cornwall is a hugely popular holiday destination for German speakers, with an estimated 90,000 visitors contributing around £42 million to the Cornish economy in 2011. And now Truro-based UrlaubCornwall (‘Holidays in Cornwall’), the #1 Google-ranked hospitality directory for German speakers searching for holidays in Cornwall, is looking to develop this market even further. 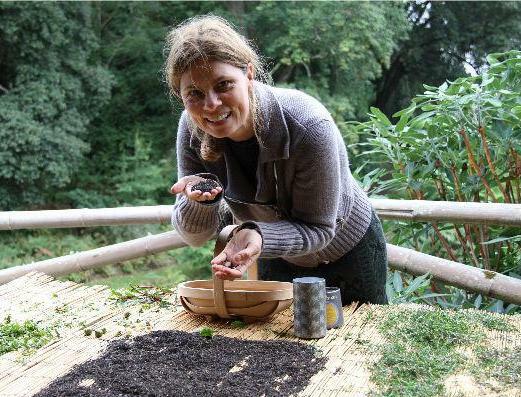 To tie in with German TV chef Sarah Wiener’s current TV programme about her tour of Cornwall, the UrlaubCornwall website will be featuring some of the products she profiled on her series – notably, Tregothnan Tea. She explained: “When I was filming my latest TV series in Cornwall, I discovered what a wonderful and idyllic region this is, full of culinary diversity, beautiful landscapes and welcoming people.